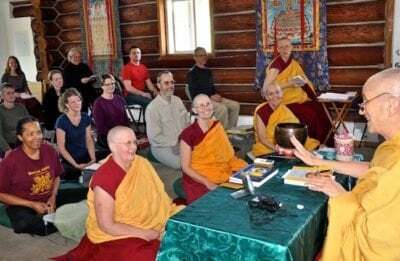 Anyone can learn to meditate and study Buddhist teachings—the Dharma. Meditation is about training the mind towards more positive emotions and attitudes. This is the heart of what we do. Guests are welcome to join us. All teachings are offered freely. Learn in one day events, residential courses, and retreats. Learn more or check the Event Schedule. Live too far away? You can learn online! Watch teachings, meditate, and study at home. Find out more. Abbey nuns teach weekly in Spokane and speak regularly throughout the region. Check the Event Schedule. Ven. Thubten Chodron and other Abbey nuns travel to teach in the U.S. and abroad. See the Event Schedule. 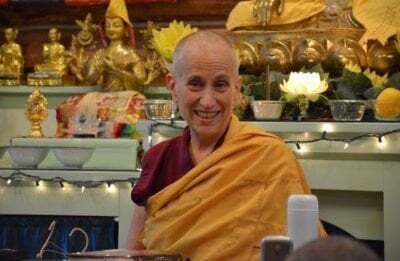 Browse our amazing videos, teachings, and photos below!